What happens to a band when despite their musical greatness, the blinding white lights of fame, fortune and celebrated mass appeal still remain completely out of reach? In a recent posting, I reviewed Director Alison Ellwood's excellent documentary "The History Of The Eagles (2013), a two-part, four hour exploration of the globally famous Southern California rock and roll band, whose sparkling body of work not only struck gold during the band's heyday of the 1970's, it has only grown ten-fold ever since. Now, I arrive with another excellent music documentary, but this time about a band whose musical legacy is no less enduring and has also grown since their arrival in the early 1970's but unlike the Eagles, this band's superior talent, stellar critical acclaim and greatest expectations only led to dismal commercial failures and interpersonal emotional states that were debilitating at best and crippling at worst. The band is the ironically named Big Star, created by the late singer/songwriter/guitarist Chris Bell, who, alongside drummer Jody Stephens, the late bassist Andy Hummel and the late, and enormously celebrated singer/songwriter/guitarist Alex Chilton, created what I feel is one of the 1970's very best power pop albums, the seminal "#1 Record" (1972), an extraordinary debut that was then followed by the dazzling "Radio City" (1974) and the harrowing, hallucinogenic artistry of the band's final release "Third/Sister Lovers" (1978). The film is "Big Star: Nothing Can Hurt Me," titled with an equal sense of irony as Directors Drew DeNicola and Olivia Mori have created an experience that unfolds and functions very much like the band's three albums; a powerfully conceived and felt work of art that contains equal parts beauty, exuberance and the deepest levels of melancholia and tragedy. As with "The History Of the Eagles," DeNicola and Mori do not deviate from the form of the music documentary in any conceivable way but what they do accomplish as cinematic storytellers is the realization of a film that unfolds slowly and beautifully, with full purpose and an undeniable force that left me consumed with a palpable sadness that made even the triumphs linger with tremendous bittersweetness. Now available on all home video formats, "Big Star: Nothing Can Hurt Me" comes highly recommended to all of you, especially if you are looking for an alternative to the behemoths running amok at all of our local cinemas. And do not be surprised if you happen to find yourself involuntarily reaching for the Kleenex. Set in Memphis, Tennessee, "Big Star: Nothing Can Hurt Me" chronicles the creation of the titular rock band, the recording sessions that yielded their debut album and then, the stunning failures that followed and eventually broke the band apart. But as a contrast to a film like "The History of The Eagles" and even most music documentaries that seem to chart the standard arc of the beginnings, rise, troubles, failings, the subsequent redemption and even greater rise of an artist and band, what DeNicola and Mori have achieved with this film is to not only explore the nature of what happens when dreams die but even more provocatively, what happens when failure somehow becomes the success. Yet even that kind of success, especially for Big Star, whose cult status and massive influence only continues to grow, is a most bitter pill to swallow as there was indeed such tremendous failure and the one band member who desperately needed to see the fruits of his labors never lived to experience them. But first, there is the process of creation and "Big Star: Nothing Can Hurt Me" deftly delves into that invigorating process as we are witnesses to work, talent, and craft all blending together into musical alchemy. While DeNicola and Mori do not have actual film footage of Big Star at work in the studio, they do indeed have many studio photographs as well as audio studio chatter to utilize, which does indeed preserve a sense of mystery to an already mysterious band. Furthermore, DeNicola and Mori also achieve a feat that Director Dave Grohl accomplished so masterfully in his outstanding documentary "Sound City" (2013), as we see that the creation of a wort of art is the result of not just the gifts of the artist in question but also in part to the people and the environment that surrounds the artist. "Big Star: Nothing Can Hurt Me" is a passionate tribute to the musical culture of Memphis, Tennessee during the specific time period of the 1960's and 1970's. DeNicola and Mori are able to weave a quiet yet perceptive socio-economic layer into the film as we can see that due to the rise of the middle class, there was just enough extra family income to be able to provide children with the opportunity to pursue any musical desires, especially after the sonic boom of The Beatles and the British Invasion hit the American landscape. As we meet several key figures of the Big Star story, from musicians to engineers, producers and other local artists (and whom all contribute enlightening interviews and narrative to the film), we gather the true sense of community that existed in Memphis, a community that was able to produce bands like Big Star. We see how every person involved played a part into gathering those four particular men together to create, record and experiment to their hearts content, blending their influences of The Beatles, The Byrds, bubblegum pop, garage rock, gentle psychedelia, and the rich soul music inherent to Memphis (especially through the presence of the legendary Stax records music label for whom Big Star recorded through the subsidiary of Ardent Records) into a succulent sonic stew that contained dark existential themes and deep introspection combined with the universal tales of love and loss. That ebb and flow in the pursuit of success and the influence of the people that surrounded Big Star was most significant during sections of the film that almost feel like diversions from the main storyline of the band but are ultimately crucial. I especially loved the section of the film that was devoted to a 1973 Rock Writers Convention held in Memphis, an event designed to prompt the unionization of rock journalists but one that also featured a heroic performance by Big Star after the commercial failure of "#1 Record" and Chris Bell's departure, leaving the band as a trio. But mostly, "Big Star: Nothing Can Hurt Me" provides us fascinating windows into the inner worlds of the band's leading figures, Alex Chilton and Chris Bell, young men who were essentially Big Star's "Lennon and McCartney" but also young men who were fiercely idiosyncratic, profoundly creative and inventive, deeply "heart-on-sleeve" artists who were constantly seeking and searching but also somehow unknowable, even to their own bandmates. The enigmatic status of Alex Chilton only continues to broaden, deepen and puzzle through the course of the film. Chilton, once the teen-aged lead singer of The Box Tops (who scored big with "The Letter") was the one band member of Big Star who had achieved a certain level of fame. And it almost seemed that as soon as he touched that brass ring, he wanted nothing to do with it. Yet, he still pursued his creative muse, regardless of where it would take him and at times in the most confounding ways. 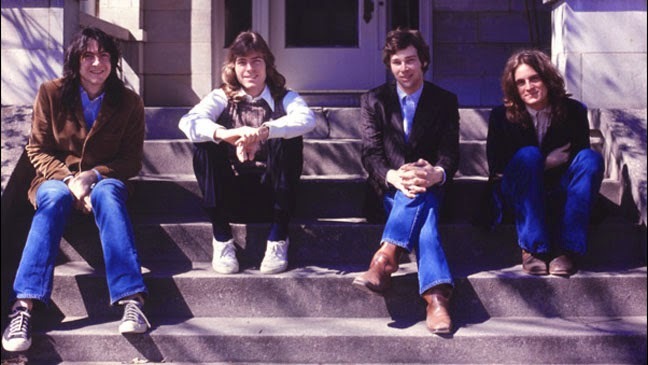 After Chris Bell's departure from Big Star and Chilton had taken over the creative reins and established himself as the band leader, that crystalline, glistening sound and sonics of "#1 Record" were already abandoned for a harder edged, thicker sound that somehow never belied the power pop glory found on extraordinary tracks like "September Gurls" but infused them with a pungent darkness that was often unsettling, as in the amazing drowsy track "Daisy Glaze," on which Chilton sings "You're gonna die! Right now!" Returning to the element of how the environment affected the art, once the drug scene of the '70s had become more commonplace, and the music scene had evolved past the more radio friendly sounds of power pop into something more abrasive, so did Alex Chilton, as his artistic process (which was indeed narcotically enhanced) became more deconstructive. It was not only as if he was taking the tightly structured songs of Big Star's past and turned them inside out, upside down and backwards, he seemed to be doing the exact same thing to his mind and spirit as well, trying to take apart and reassemble exactly what music may have even meant to him. This new conceit sometimes found him arriving to the studio for session work without his guitar! Chilton's mercurial personality eventually found him abandoning Big Star entirely for increasingly difficult solo work and forays into the punk rock movement, and still, for whatever reasons, he re-formed Big Star with Jody Stephens in the 1990's anyway. It remains a mystery to me as to why he would shrug off the growing accolades that came his way from new musicians on the rise during the 1980's, thus finally increasing the notoriety of Big Star. But the sadness of the one who needed to hear those accolades the most but never did, struck the deepest chords with me as I watched "Big Star: Nothing Can Hurt Me.". The greatest tragedy in the story of Big Star to me is firmly housed within the figure of Chris Bell, an enormously talented yet extremely fragile soul who, in addition to his issues with depression and drug abuse, his devout spirituality and even questions concerning his sexual identity, was indeed forced to face the harsh realities that occurred when his music was under-heard and therefore undervalued by the mass public despite the immense critical acclaim. One thing to note about the band first album "#1 Record," and cannot be over-stated is that Chris Bell, while serving as a writing partner to Alex Chilton, was truly the architect of that album's sound and overall presentation as well as being the founder of the band in the first place. These facts were ignored upon the album's release, and the acclaim leaned towards the more famous Chilton to boot. This display damaged Bell to the point where his relationship with Chilton dissipated, he exited the band and even erased all of the master tapes. Chris Bell died from a late 1978 car crash and so sadly, his massive influence was not fully recognized until after the posthumous release of solo material, featuring the gloriously painful and transcendent "I Am The Cosmos," in the early 1990's, material that he was unable to convince record labels to support while he was alive. And then, there is the even greater fact that he, along with the band, more or less invented the alternative rock scene as we know it due to bands and artists like R.E.M., Robyn Hitchcock, The Replacements, Teenage Fanclub and others citing Big Star as a key source of influence. This was the point of the film where I wished that Chris Bell had lived, especially during this era of social media where fans are able to communicate with the artists more or less directly and he could then be able to see that all of the work was not in vain. To know that he fully expressed his artistry, pain and joy and those messages were indeed received in full by generations upon generations of musicians and fans, like myself. That something he created so long ago would never be unappreciated but beloved and would still retain its artistic power and strike those heartfelt chords among anyone who chose to listen. DeNicola and Mori achieve this feat in their film not through any means that are cloying or falsely manipulative. All they do is just provide the venue for his friends associates and family members to just speak and speak and to also just play the music, allowing us to make any and all connections to the emotions contained. Witnessing this piece of the Big Star story just made me realize just how horribly sad it would be to give your heart to the world and feel as if nobody cared. Yet, we did and still do. I just wished that I could have the opportunity to have told him myself. During these instant gratification times that we live in, 'Big Star: Nothing Can Hurt Me" is a film that seriously questions what exactly is success. It seems to be more than fitting that I am just now seeing this film as one year ago this month, I wrote a feature for Savage Cinema's companion blogsite Synesthesia celebrating Big Star's "#1 Record" as being one of my favorite albums, a fact that cannot be over-stated in any fashion to all of you. While I cannot remember the exact year, I discovered the band sometime during the mid to later 1990's as I was exploring a local record store just looking for...something. I had no idea of what I would find but somehow, I just knew that once I found the elusive album, it would be the perfect fit for my spirit. When Big Star found its way to me, the meeting was indeed life altering as they have spoken to my soul and have inspired me in more ways than I could possibly recount to you. I urge you to seek out this band if you have never heard them. Listen to their albums and most certainly, I sincerely hope that you all take the time to view this wonderful movie. Maybe the nature of success is not always within sitting at the top of the charts. It is knowing that you were seen and heard and valued at all and completely accepted upon your own terms unconditionally. And for that, Big Star has got to be one of the most successful groups to have ever existed. SOUL FOOD: a review of "Chef"
If the thought of potentially sitting through yet one more mega budgeted, special effects driven behemoth of a movie starring either mammoth sized city demolishing monsters or costumed mutant superheroes elicits a yawn of fatigued disinterest, then please allow me to excitedly point you in the direction of something wholly refreshing! Yes, dear readers, I know, I know. I have expressed to you many times upon this site of my fears concerning the current status of the movie industry with its preponderance of those aforementioned mega budgeted, special effects driven box office behemoth movies that are made and released so rapidly and at the expense of well...seemingly anything else, let alone a film that houses a filmmaker's deeply personal vision. With that sentiment, I have to also express to you that I have often wondered if the filmmakers themselves, the very ones who have directed those very box office behemoths, have ever felt any sense of strain or fatigue. At this time, I turn your attention to Actor/Writer/Director Jon Favreau who first gained notoriety with his independent film hit "Swingers" (1996) but later graduated to the major Hollywood leagues with films like the holiday perennial "Elf" (2003). And let's face it, he essentially gave the Marvel Comics film universe as we now know it its spectacular beginnings with "Iron Man" (2008). Since then, in those major Hollywood leagues Favreau has remained, sometimes for better with "Iron Man 2" (2010) and sometimes for worse with the bloated and bland "Cowboys And Aliens" (2011). That film, in particular signaled to me a significant problem with the movies when filmmakers who possess a unique voice are co-opted by the industry to create films in which their personalities are diluted to the point of being invisible. Just think of some recent films by the likes of Tim Burton (2010's "Alice In Wonderland") and Sam Raimi (2013's "Oz The Great And Powerful") and you will understand what I mean. Now who knows what Jon Favreau really feels about his role in this current status of mega budgeted, special effects driven behemoth movies taking over our multiplexes, but based upon his latest film, the enormously entertaining "Chef," a decidedly and unapologetically smaller, more personal film, I think that I can safely assume that he was just itching to leave the massive monstrosities behind for a spell and make something that ultimately feels that it was created straight from his two hands and the pureness of his heart, and the resulting effect serves as a most welcome cinematic palate cleanser for him as well as for us. Dear readers, Godzilla and the X-Men do not need our help whatsoever as they will make their fortunes hand over fist ten times over and again. Jon Favreau's "Chef" is the very type of film that can easily fall through the cracks if we don't give it our attention and support. If you have read my reviews and have felt that I did not lead you astray with my high rave for "The Lunchbox" earlier this year or if you even tried my advice to take on the adventurous and nearly impenetrable "Under The Skin," then please do take my advice once again as I am strongly urging you to head out to "Chef." I have a feeling that, like after eating an especially sumptuous meal, you will be more than satiated once the end credits begin to scroll. "Chef" stars Jon Favreau as the celebrated Chef Carl Casper, a workaholic who manages the kitchen of a high end California restaurant owned and operated by the pragmatic Riva (Dustin Hoffman), who consistently urges Carl to not experiment with food or let his culinary imagination run wild and just serve the customers "the hits," a task that leaves Carl floundering in a creative rut. When Ramsey Michel (Oliver Platt), an influential food blogger/critic writes a scathing review that goes viral, thus enraging Carl who retaliates via Twitter, beginning a war of words that culminates in a furious public breakdown (and captured and uploaded onto You Tube, no less), and combined with Carl's refusal to just "play the hits," Carl is resoundingly fired. To further complicate matters, Carl is attempting to navigate his tentative relationship with Percy (well played by EmJay Anthony), his 10-year-old son from his failed marriage to Inez (a warm Sofia Vergara), with whom he has remained friends. Upon Inez's suggestion, Carl eventually returns to his home of Miami to fix up a food truck, which he names "El Jefe Cubanos," to travel the country back to Los Angeles with his best friend and line cook Martin (John Leguizamo) and Percy in tow, beginning a journey that forces Carl to reconnect with his culinary passions and imaginations, as well as forge a newfound relationship with his son in the process. Jon Favreau's "Chef" is a good natured, sharply written (especially with its critiques and celebrations of social media), joyously performed and lovingly filmed escapade that firmly takes Favreau back to his filmmaking roots but now with a greater command of his cinematic storytelling powers and craftsmanship due to his growth and longevity within the film community. As the film is indeed anchored by Faveau's writing, directing and his congenial performance as Carl Casper, he completely creates a party atmosphere as he has obviously called in some favors with his famous friends who appear alongside him, from veteran character actors like the terrific Bobby Cannavale to even Robert Downey Jr., who shows up for one sequence. Yet, this cinematic party is one where Favreau retains the fullest command of his story and emotional core, thus ensuring that Carl's journey would be one that we would thoroughly enjoy taking with him. It would not be any stretch of the imagination to infer that "Chef" is easily Favreau's most personal film to date as we can easily substitute the film industry for the culinary world as well as Favreau/Carl Casper's ambivalent feelings towards both. The horrific review that Carl Casper receives could easily be seen as a variation of the bad reviews Favreau received for "Cowboys And Aliens." And Favreau/Carl Casper's wrath against critics who are obviously writing for entertainment and the laughter of other writers instead of offering any sense of actual criticism, was not lost on me either...and I am certain it will not be lost upon you as well. Even so, what Jon Favreau achieved on a greater level was taking a story that was indeed so personal and somehow made it universal. We can easily look at Jon Favreau's possible or perceived struggles in the film industry and Carl Casper's loss of inspiration and purpose in the food industry and hold them both up as a mirror to ourselves in whatever line of work we happen to be involved with or whatever stage in life we happen to find ourselves. Favreau is asking of himself, his characters and all of us watching if we are living our lives and performing our duties with passion or are we just simply existing. With that sense of existential crisis at the core of "Chef," Jon Favreau has made a more idiosyncratic film that is undeniably and uniquely soulful in a way that the likes of "Iron Man," no matter how terrific it is, simply cannot be. Instead of just delivering what the people want, Jon Favreau is quite possibly giving us, and himself, exactly what we all need. And yet, Jon Favreau has not forgotten how to entertain and "Chef" is indeed a film that possesses a certain formulaic aspect, is highly accessible yet also proudly meanders and happily has no hurry to arrive at its destination. In fact, there were several points during "Chef" where I was reminded of not one but two films from Writer/Director Cameron Crowe, the recent family film hit "We Bought A Zoo" (2011) and the unfairly maligned "Elizabethtown" (2005). With regards to the former, Crowe utilized that film's true story of writer turned zookeeper Benjamin Mee to also house his own personal story of returning from a world of failure and mourning as he had spent six years nursing the wounds left from the critical beating and box office failure of "Elizabethtown" to the painful romantic loss that arrived from his divorce from musician Nancy Wilson. And to that end, Crowe weaved a story which also held a universal appeal as we all were confronted with how we can rise again from our own personal failures and tragedies. More specifically, and with greater regards to the latter, I cannot express to you enough how enormously entertained I was by the wonderful road trip section of "Chef," much like I was emotionally transported by the majestic road trip climax sequence of "Elizabethtown." In Crowe's film, the road trip served to illustrate his suicidal leading character's re-connection to life itself through travel, music, people, landmarks, the Earth and the sky and stars. In "Chef," that exact same sense of connection is made through sequences set in Miami, New Orleans and Texas as Carl Casper, Percy and Martin simply drive, eat, joke, bond, cook, cook and cook some more, connecting themselves to each region they visit, the people they meet and enrapture through their cooking and ultimately finding themselves transformed along the way. Jon Favreau keeps this section in particular moving briskly but also (and again) with a pureness of soul that no moment ever felt to be prefabricated, the connective tissues formed between the characters felt organic and deeply felt thus creating a sizable amount of good will from the screen into the theater and that afterglow has lasted so deliciously long after I returned home. In some ways, I can understand if some of you may feel that aspects of this film are more predictable than they needed to be. And perhaps there is this small part of me that maybe feels the same in regards to the tidy bow that Favreau wraps upon "Chef" at its conclusion. But, you know, that is more than fine with me as the entire project was easily a labor of love for Jon Favreau, who you can easily see his fingerprints upon every single frame of this warm and lovely film that explores with creativity and passion the roads on which art and commerce travel, congeal and separate and even moreso, how we reconcile ourselves to live a life of integrity even when the world is clearly desiring you to not follow that path. I know that at some point, I will be more than ready to take on a mega budgeted, special effects driven behemoth again, especially as there is no chance that those films will vanish anytime soon...and frankly, do not want them to. But dear readers, I do not know what I would do if films like Jon Favreau's "Chef" were no longer being made, films where an artist only wants to show and share with us his or her heart as best as they are able. I truly hope that you seek Jon Favreau's "Chef" out. Maybe I'll see you there as I am ready for seconds! The music of the Eagles has been a part of my life for nearly the entirety of my life. They have provided a crucial piece of fabric to the patchwork quilt that is the musical soundtrack of my life so firmly and with such foundation, that if they were not present, that patchwork quilt would undeniably unravel. I cannot even begin to imagine what my life would have sounded like with hearing those glistening vocal harmonies and shimmering guitars, not only on my favorite AM radio station, Chicago's WLS, but also on long family car trips from Illinois to Kentucky where the strains of "Lyin' Eyes, "Peaceful Easy Feeling," "Already Gone," and the soaring "Take It To The Limit" would fill the car from the 8 track player through the speakers to my very spirit with unabashed glory. Where would I have been if I had not spent so much time being mystified and mesmerized by the music and maddening themes of the epic "Hotel California" or finding a previously undetected melancholy inside of myself when hearing "New Kid In Town" or even being hysterically confused with the actual lyrics of "Life In The Fast Lane" (I honestly thought they were singing "Fighting In The Bat Plane," whereas my Mother though they were singing "Fighting Is A Bad Thang")? The Eagles filled my childhood magically and have continued to remain a deeply influential musical presence as I have aged and my musical horizons have broadened vastly. They have always been there for me and I am certain that they always will be. And even so, the Eagles possess a certain mystery for me as they have so often baffled me as to how they could create such beautiful, exquisitely written, performed and sung music while seemingly existing as truly mercurial individuals.who are constantly at each others throats. Certainly the juxtaposition of the turbulent temperament of the artist and the beauty of the art they create is not exclusive to the Eagles but it is a major piece of their internal fabric as it does cut to the core of how they formed, fell apart and ultimately endured in the first place. This past week, I was so excited to view "The History Of The Eagles," Director Alison Ellwood's, two-part, nearly four hour and often enthralling documentary. Ellwood's musical epic briskly and brilliantly chronicles the on-going evolution of the Eagles with a true storytelling mastery that makes for rich, compelling and frankly compulsive viewing that not only illuminates the music and the men who created it but also the era in which the band and the music entered the world. The film, which is currently in the programming rotation on Showtime, is also readily available on your standard home video formats of DVD and Blu-Ray, a package which also includes a bonus disc featuring eight songs from the band's 1977 concert performance at the Capitol Centre in Washington D.C. For die-hard fans of the band or even the most casual listeners, this documentary will indeed make for fascinating, and at times, surprisingly emotional viewing, during which you will undoubtedly find yourself singing along with the songs that now exist as timeless standards. Like the Eagles' actual songs and songwriting, Alison Ellwood's film does not revolutionize or radicalize the documentary film genre but the magic firmly exists in how effectively she tells the story. The first two hours of "The History Of The Eagles" centers its attention around the birth of the band and moves forwards to their stratospheric success and ferociously bitter breakup in 1980. The film's second two hours follows the group from their 1994 reunion to their present day status that finds their popularity exponentially increased from their 1970's heyday. Throughout the entirety of both halves, we are treated with bracing and insightful archived and current first person narratives from all of the main participants, which include, Glenn Frey (vocals, guitars, keyboards), Don Henley (vocals, drums, guitars), Joe Walsh (vocals, guitars, keyboards), and Timothy B. Schmidt (vocals, bass guitar) plus former members Bernie Leadon (vocals, guitars), the great Don Felder (guitars, vocals) and the angel voiced Randy Meisner (vocals, bass guitar and who is nearly unrecognizable from his boyish looks from the 1970s). In addition, Ellwood and therefore, the Eagles themselves, grace us with a veritable wealth of archived material from concerts, music videos, film footage as well as previously unreleased home movies, raucous and raunchy studio chatter and even some extremely volatile stage banter. Like the massive amount of audio/visual material presented in Director Peter Bogdonovich's equally epic and excellent Tom Petty and the Heartbreakers documentary "Runnin' Down A Dream" (2007), Alison Ellwood utilizes these crucial and essential elements to widen the tapestry of the story of the Eagles with an often surprising sense of honesty, tension and poignancy. Now after all of this praise, I am more than certain you may be wondering why I essentially gave this one film two star ratings. I should admit to you that I fully did not intend to recognize the film in this fashion. But as I was sitting down to write, it just seemed to me to be fitting. Part One of "The History Of The Eagles" performed the very creative and artistic feats that signal to me that a movie has reached the "four star level," as least for my tastes and sensibilities. First of all, Alison Ellwood, as previously mentioned, proved herself to be a most effective cinematic storyteller that even though her film follows the standard music biographical documentary film format very closely, she always ensured that her film would remain fresh and vital. It was indeed impressive to me that she was able to take decades of material and sift them into a clear and concise narrative that was fully involving and never felt to be dry or stale. And beyond even that success, Ellwood shaped the material into a narrative that not only grew more propulsive and undeniably emotionally precarious, she somehow even made the hearing of extremely familiar songs feel as if you were hearing them for the first time. When Glenn Frey speaks of how a song like "Take It Easy," his collaboration with longtime friend and musical compatriot Jackson Browne came into being, the story only enhanced and enlivened the song that I have heard countless times throughout the last 40 years of my life. I felt those same lightning bolts of recognition merged with the sensation of hearing rock music glory when the band members spoke of the origins and meanings of "Hotel California," the high flying beauty and enthralling ballad of perseverance that is "Take It To The Limit," the duplicity, heartache and perceptive gazes into the divide between men and women in the sorrowful "Lyin' Eyes" and dear readers, once the footage detailing the slow jam "I Can't Tell You Why" hit the screen, not only did the the hairs on the back of my neck rise to attention, I found myself also emitting the deepest sigh, saying to myself, "That song is gorgeous!" Beyond even that superb quality, Alison Ellwood also found a way to make her film transcend the act of just existing as a film about this legendary rock band. In fact, and especially as we are watching this film being able to utilize the current state of the music industry as a reference point, "The History Of The Eagles" is essentially a film that smartly illustrates a time now long abandoned by the music industry. A time when artists were actually allowed to develop. To think that there was once a time when an artist's potential was not entirely judged and hindered upon making every conceivable red cent almost instantaneously. If that climate had not existed in the '70s, it is more than a possibility that an album like "Hotel California" (released December 8, 1976), the Eagles' sixth album, may never have been made! Ellwood gives "The History Of The Eagles" ample time for us see how the band and its members grew as songwriters, musicians, performers, recording artists and even as entrepreneurs. We are given strong insight into the actual work it took for the members of the Eagles to build their collective skills, knowledge and overall independence from the beginnings to the point where they could push themselves to create an album like "Hotel California" and write songs with a greater sense of nuance, universality and timelessness as well as making intensely personal statements. And with that quality, "The History Of The Eagles" also explores the need for diligence and dedication to one's craft in addition to just being ambitious, a most necessary message to receive in this period of extreme instant gratification. I was also completely fascinated with how Ellwood tailored "The History Of The Eagles" to examine the early 1970's music culture of Southern California and how folk, country, soul and rock and roll all merged together into this new style of music that was introspective, and sonically soothing when compared to the more combative counter-cultural music of the late 1960's. To discover that the Eagles emerged as a purposeful response to the horrors and turbulence of the world at that period in time gave me an entirely new perspective. To now understand that "Take It Easy" was purposefully designed to be an "It's gonna be OK" type of sound and one to assist with a sense of internal healing, gave something that has only existed for me as a pleasantry (albeit a TERRIFIC pleasantry), a greater sense of weight. In describing the song "Hotel California," Don Henley succinctly states that it is a song about the journey from "innocence to experience." Like that song, Ellwood juxtaposes any notions of innocence with a host of decidedly R rated material within "The History Of The Eagles" as these young musicians who implored us to just "Take It Easy" habitually indulged in the darker sides of their personalities while on the road, a darkness which undoubtedly fueled their art and music. We receive copious tales of backstage debauchery including Joe Walsh's infamous hotel destructiveness, an explosively released id rivaled only by The Who's drummer, the late Keith Moon. Even moreso, the members of the Eagles describe themselves as being a team of "Alphas," each of them (except for the truly tenderhearted Randy Meisner) all jockeying for the position as the leader of the pack, a title absolutely none of them would or could wrestle from Glenn Frey who is clearly the head Eagle. This even includes Don Henley, who is not only Frey's primary collaborator but also seemingly functions as his consigliere. With that "behind the scenes" aspect of the band, Ellwood is also able to depict how these young, starry-eyed and eager songwriters and musicians grew to become extremely shrewd businessmen. And furthermore, how the lines between the art of the Eagles and the business of the Eagles intertwined and even blurred. The phrase that kept arising during the film when concerned with which certain elements in how the music was presented would be when band members spoke about what was "best for the Eagles" as opposed to perhaps functioning to serve an individual's self interests. While all of the band members provide rich vocals, we learn that Don Henley (easily the band's best, most vibrant singer) becoming the band's most featured and visible lead vocalist was a purposeful decision that was "best for the Eagles." How Frey and Henley remained the band's chief songwriters and even taste-makers was equally as purposeful. 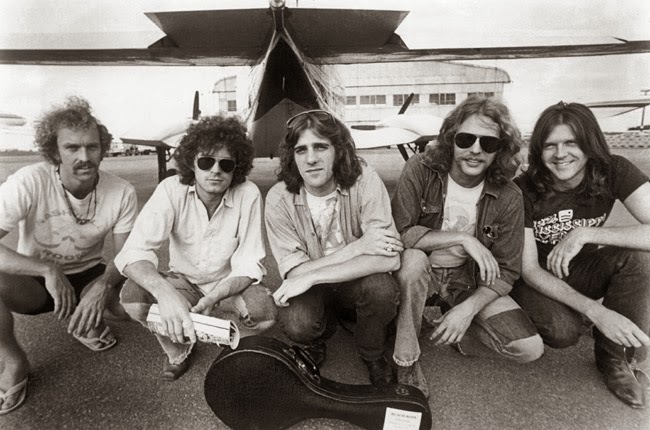 This particular factor undoubtedly led to the band's notorious and well documented inter-political tensions regarding whose song ideas would be accepted, who can sing lead vocals, and even what is performed in concert, serious points of contention, especially between Don Felder and Glenn Frey, which built towards not only the Eagles' 1980 break-up (audio footage from their on-stage argument appears in the film and provides a powerful highlight) but also Felder's subsequent firing in the 1990's. Even the soft spoken but golden voiced Randy Meisner could not escape the intensity as his crisis of self-confidence with being able to continuously hit those stunning high notes in "Take It To The Limit" led to a backstage confrontation with Frey that concluded very badly. Where Randy Meisner was possibly too thin skinned, Glenn Frey and Don Henley are considerably thicker skinned and some would argue, somewhat unscrupulous and even embittered and Ellwood captures it all as the Eagles struggled with the excesses that surrounded them, from stratospheric album sales to drugs, alcohol and ever mounting expectations. By the conclusion of Part One, I was enthralled as well as emotionally spent, and left wondering exactly how do bands survive at all, let alone endure for an unusually extended amount of time. As great as the film's first half is and for all the substantive material, themes, concepts and unwavering view of the inner workings of the Eagles, I have to say that I was a tad disappointed with the film's second half. I guess after the extremely candid "warts and all" presentation found in Part One, Part Two, by contrast, felt to be a tad too sanitized and even a little self-congratulatory, as if the Eagles themselves were standing over Ellwood's shoulders in the editing bay, ensuring that nothing too derogatory ended up in the final cut. Also, it felt as if after leaving no stone un-turned in the first half, I was just left brimming with more questions after viewing the second half. As previously stated, Part Two of the the film goes in to (relative) detail about the Eagles' reunion in 1994, how it came to be, the now classic MTV "Hell Freezes Over" special and subsequent album and tour. That section also provides us a window into information about Joe Walsh's stint in rehab, thus signifying Ellwood's sly cultural commentary about the shift in lifestyle to be exhibited while on the road and as a functioning unit in the 1990's as opposed to the hedonistic 1970's. But, I still had burning questions that Ellwood never delved into with the same amount of depth that was found in the first half. First of all, there is the subject of Don Felder's firing, which is broached. However, what struck me was how angry Frey still seemed to be and how hurt Felder still seemed to be and it all seemed to have very little to do with the actual music and almost entirely about (once more with feeling) the business of the Eagles. As a side note, there is also the subject of guitarist Steuart Smith, a touring member of the band who not only has filled Don Felder's role but who also has co-written and co-produced songs with the band. Yet even so, Smith proclaims emphatically, "I am not an Eagle," signifying that the inner circle of the Eagles organization is a decidedly closed one. This is a point where I have begun to feel a sense of disillusion with a band that I have treasured for so long. Let's face it, the band members of the Eagles are all extremely wealthy men now. So, why is it that the Eagles could not find a way to function as say, a band like R.E.M. where their profits and publishing rights were famously split in an equal four parts? Why is it that Don Henley and Glenn Frey feel the need to have more money than the other members, all of whom certainly worked powerfully to create the exact same legacy through which they all benefit. Of course, you cannot have a band of leaders, as Frey attests and I understand. But even so, it places the money ahead of the music and also makes the social consciousness of Henley in particular come off as somewhat disingenuous. And then, there is the question of exactly why do the Eagles keep doing what they are doing in the first place, which nowadays means touring endlessly upon their vast catalog of hit songs. Yes, they did record and self-released a terrific single, the gospel tinged "Hole In The World" (released July 15, 2003) as well as the very strong double album of all new material entitled "Long Road Out Of Eden" (released October 30, 2007) since the reunion but the Eagles have said time and again that it is most likely the last new music they will ever make, meaning the weight of material performed will forever be the classic 1970's hits and a smattering of 1980's hit solo music--thus, again doing what is best for the business of the Eagles and it is an extremely lucrative business indeed. During the film's first half, at a tense exchange between Glenn Frey and Randy Meisner, Frey acknowledges that even though he is sick of singing the same songs every night, that there are fans who have waited years to hear them perform those batch of songs, so they have to deliver the goods. I can understand and appreciate the sentiment. But therein lies the question of why do they even continue when they do not even have to? If Frey was sick of singing the same songs night after night in the '70s, then it would seem that he is really sick of singing them now but Ellwood never gets into the depths of what relationships the Eagles have with their own songs and legacy in the 21st century as opposed to when they were musicians on the rise and dealing with their initial success. Is it really all for the money now? Or is it still something pure, as when the four primary members of the Eagles sit backstage and harmonize those stellar vocals on a song like "Seven Bridges Road," and they still sound as soul lifting as they ever did and you can see on their faces the joy they have with being able to hit and blend those notes so spectacularly. Why Ellwood was unable to explore this avenue of the band in greater depth is beyond me as I do feel that it is all well worth exploring as part of what has made the Eagles who they are and what they will forever be, even long after every member has departed from this mortal coil. Even with those criticisms, "The History Of The Eagles" is excellent viewing that serves as a mighty capper to an especially mighty musical legacy. At one point, during some 1970s backstage footage, Glenn Frey remarks that in regards to the audience's adoration, those feelings stem from the fact that the band members of the Eagles look and dress just like the fans, making the fans themselves build a comfort level as well as their own rock star dreams of standing upon the stage themselves. Essentially, the men of the Eagles are human beings and not rock superheroes. They have failings just like the rest of us in the audiences in the stadium, or at home or in our cars or anywhere in the world where we can hear their music. And if we are indeed like them, we can all sing along together. Maybe that is the magic of the music of the Eagles. The fact that they made music for themselves, for us and for all time with such grace, talent, sweat, grit, ascension, disappointment and everything we all experience to just live life. That is what makes "The History Of The Eagles" soar so highly and proudly. 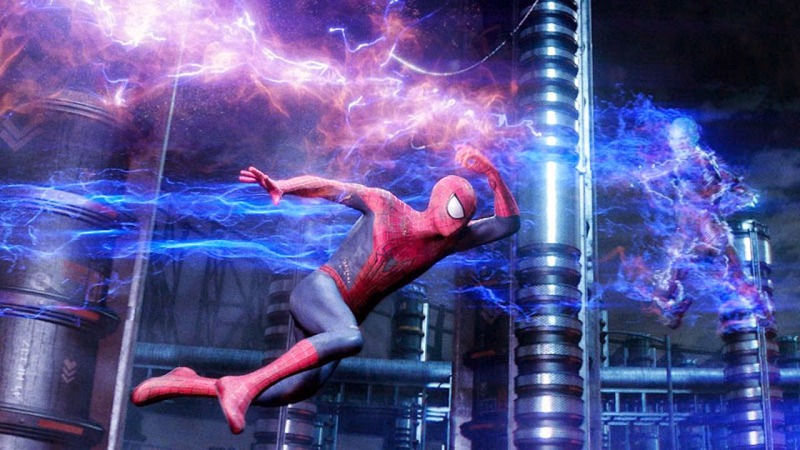 THE POWERLESS: a review of "The Amazing Spider-Man 2"
I was preparing to be disappointed. Dear readers, I have long mentioned to you that I am experiencing quite a hefty bout of comic book movie fatigue. But if you happen to be regular visitors to this site, you will also notice that despite my fatigue, I do tend to keep seeing these films so really, in some ways, I only have myself to blame. I guess what I am trying to say when I do mention my sense of comic book movie fatigue is that the presence of a new motion picture based around a comic book character does not inherently excite me or make me want to race to the movie theaters for three explicit reasons. The first is that there are just so many of these types of movies right now and it seems that these are the only types of films that Hollywood is even remotely interested in making, thus creating a cinematic playing field that has no room or even interest for anything more idiosyncratic, or even original compared to the comic book movie which has a built-in audience and is more often than not a guaranteed money maker. The second reason is that too many of these big budget tentpole movies have grown to have such an over-reliance upon special effects and CGI technology at the expense of characters and stories that it is truly not going to get me excited to see yet another movie where the only thing that happens is cataclysm. I have seen explosions and the cinematic end of the world more times than I can count and seeing it all again has grown tiresome. The third reason is simple enough: a lot of those types of movies really aren't very good in the first place. Even with all of that being said, we are living in a time when Director Christopher Nolan emerged with his triumphant, visionary and game changing "Dark Knight Trilogy," a trio of films that completely transcended their own genre masterfully. And yes, we do have the on-going series of films from the expanding Marvel Comics universe, which for the most part have proven themselves to be not only skillfully made but substantive in content, stories as well as sublimely well cast. Yet, over the past decade or so, there have been two comic book based series that have confounded me tremendously due to how indifferent to flat out disappointed I have been with the end results. The X-Men happened to be my favorite comic book series growing up and I have to say here and now that I am not a fan whatsoever of the films. I have only seen Director Bryan Singer's first two installments, "X-Men" (2000) and "X2: X-Men United" (2002) and Director Brett Ratner's third installment "X-Men: The Last Stand" (2006), and I disliked all of them to increasing degrees. So regardless of what yo may say to me to convince me otherwise, I have not and will not see any of the subsequent "X-Men" films. They had their three strikes. Spider-Man has truly had a most difficult time achieving movie stardom despite the massive box office receipts all of the films have earned. As I have said many times in the past, and with no intended disrespect, I think that aside from the spectacular "Spider-Man 2" (2004), Director Sam Raimi fumbled the series more often than soared with it. For me, the first film, "Spider-Man" (2002), was only half of a good movie that was then fully derailed by all of the bloated CGI effects and that aforementioned summer movie cataclysm. And the third installment, "Spider-Man 3" (2007), was an overstuffed mess. When it was first announced that the movie studio, still wanting those Spider-Man dollars regardless of quality, was ready to entirely reboot the series, it was just another moment when it felt that Hollywood lost all sense of even wanting to try any new ideas. And even so, I eventually found myself not only seeing but thoroughly enjoying Director Marc Webb's "The Amazing Spider-Man" (2012), as Webb seemed to grasp much more confidently what Raimi could not from having a tighter screenplay and story structure, a most consistent tonality, a greater sense of humanity and an emphasis of placing the more impressively seamless special effects as secondary to the characters and the film's overall emotional core. With "The Amazing Spider-Man 2," I was prepared for that first film to just be a fluke and I would walk out of the theater shaking my head back and forth feeling that the "same old, same old" had done me in again. Furthermore, the wildly diverse nature of the reviews, many of them leaning towards the negative, certainly didn't provide me with any high hopes. So, imagine my surprise to discover that "The Amazing Spider-Man 2" was not only good, but Webb has markedly raised his game by making an even better, richer, darker and more emotionally turbulent film than his predecessor. And it is also a film that just nearly touches upon greatness. 2014 has already proven itself to be a fine cinematic year for me with the diversity of good to great films that I have already seen, and I am very excited to inform you that I am adding Marc Webb's "The Amazing Spider-Man 2" to the list. "The Amazing Spider-Man 2" opens as Peter Parker (a terrific Andrew Garfield) is simultaneously preparing to attend his high school graduation as well as attempt to save New York City for the umpteenth time as Spider-Man, in this case from the maniacal plutonium thief Aleksei Sytsevich (Paul Giamatti). During the melee, Spider-Man rescues OsCorp Industries employee/engineer Max Dillon (Jamie Foxx), a shy, awkward, socially inept and mostly ignored individual from certain doom-an act that produces an unhealthy hero obsession towards Spider-Man within Max. Yet despite the adoration from the citizens of New York City, Peter Parker is indeed feeling the emotional strains of being a superhero, from the punishing physicality and life threatening situations, to hiding his identity from his loving Aunt May (Sally Field), discovering the truth about his long departed and deceased parents (Campbell Scott and Embeth Davidtz), and most certainly, the guilt and mourning over his deceased Uncle Ben. Finally, there exists the guilt and strains of trying to maintain a romantic relationship with Gwen Stacey (a lovely Emma Stone), despite the grave warnings from her now deceased Father (Denis Leary), whose image Parker sees throughout his journeys thus compounding his inner struggle. Additionally, there exists the large possibility that Gwen may leave New York and Peter Parker behind for England to attend school. Meanwhile at OsCorp, Max Dillon suffers a devastating electrical accident via electric eels that transforms him into the electricity fueled and empowered Electro. Additionally, Peter Parker's longtime childhood friend Harry Osborne (Dane DeHaan) returns to New York to not only witness the death of his own terminally ill Father, the CEO of OsCorp, but to also discover that his Father's illness is hereditary and develops at Harry's age, a realization that forces Harry to take several drastic and tragic measures of his own to save himself. Now, with all of what I have described to you, it would seem that "The Amazing Spider-Man 2" would suffer the same problems as Sam Raimi's "Spider-Man 3," as this new film certainly does have quite a full plate...or several full plates. But what Marc Webb has achieved that Raimi did not was to keep all of his conceptual plates not only spinning in the air simultaneously and with terrific confidence, but ensuring that all of the elements and story threads are meaningful, necessary and merge together seamlessly, which as far as I am concerned they do. In its own way, the film is constructed as intricately as a spider's web. As I think back to "Spider-Man 3," for instance, I just bristle with the memory that the film, which already boasted essentially four villains, possessed one major character (The Sandman) that could have been completely stripped out of the film and it would not have made any difference whatsoever. There was just a massive amount of material that was superfluous and Sam Raimi just could not find a way to handle the overload at all. Not so with what Webb has accomplished with this new film. He has devised a strongly structured cinematic house of cards as "The Amazing Spider-Man 2" not only has its central storyline to deal with but also, a broader story that is progressively building and linking the films together. All of the elements have to converge tightly or else the entire film falls apart and Webb somehow makes the act of keeping seemingly disparate elements locked together look so easy unlike Raimi who showed obvious struggle over and again. One criticism that I have seen with "The Amazing Spider-Man 2," is that in some ways, it takes a step backwards from the larger and more allegorical themes as introduced in Nolan's "Dark Knight Trilogy" and even with Directors Anthony and Joe Russo's excellent, up-to-the-minute "Captain America: The Winter Soldier." Well, for me, I do not feel that it is necessarily the job of a comic book themed film to always transcend the genre and shoulder a story that functions as an allegory for modern day society. When it happens and is done well, then that is better for us in the audience to be sure. But mainly, what I think the job of a comic book movie happens to be is essentially what you get from an actual comic book: just tell the story you are trying to tell as best as possible. With "The Amazing Spider-Man 2," Marc Webb and his team of screen writers have told their story very, very well. What I found to be most consistent within all areas of this new film was the poignant emotional core and the provocative theme of power and powerlessness. The connective tissue of "The Amazing Spider-Man 2" is how Peter Parker, Max Dillon and Harry Osborn are all essentially mirror images of each other to some degree as they are each dealing with issues of being abandoned, ignored, forsaken, unappreciated, even unloved or undeserving of love and somehow all three figures find a new sense of perceived accomplishment and power once they fall into their respective alter-egos. Yet, and most importantly, we in the audience can witness how as their sense of power increases, so does their respective issues with powerlessness. They tragically discover that for each of them, the two states of being fall despairingly hand in hand. For Peter Parker, what else is the identity and his actions as Spider-Man but a way for him to try and alleviate the sense of guilt he harbors over his Uncle Ben's murder as well as the anger and loss he feels over the mysterious absence of his parents? And yet, no matter how many times he saves New York City, his guilt, confusion and anger never dissipates and of course, nothing could ever bring his beloved family members back from the dead. His heroic actions almost serve as a compulsion and with "The Amazing Spider-Man 2," with his fears of losing Gwen Stacey growing in intensity, Peter Parker's Spider-Man heroics begin to serve as actions of attaining a level of control that is impossible, thus fueling his anger, his sorrow, his insecurities and his demons. Despite his best intentions, Peter Parker is forever in a state of existential unrest. For the film's primary villains, Webb wisely keeps us riveted to the very same emotional core as he wants us to always witness the men that live inside of the monsters they eventually become, thus increasing the operatic drama and overall sense of tragedy. This precise approach certainly justifies the film nearly epic 2 1/2 hour running time as Webb wants us to understand these characters as human beings and not as evils that we are pounding our theater seats to be vanquished. Both Max Dillon and Harry Osborn are fragile souls driven to desperate measures through events that began as not of their own making, but their subsequent actions threaten to unravel them just as much as Peter Parker's. With Max Dillon, and especially with how Jamie Foxx portrays him, we are witnessing a fiercely intelligent individual who is also more than a little unhinged. In fact, before his transformation, Max Dillon could be cut from a cloth that is most similar to Robert DeNiro's classic talk show superfan Rupet Pupkin in Martin Scorsese's "The King Of Comedy" (1983). Yet, after his transformation, Foxx never forgets the man inside, thus creating a movingly misunderstood creature like Frankenstein. The connections between Harry Osborn and Peter Parker are even stronger as we view their friendship as being forged through the devastating losses of each of their families. Yet, where Peter Parker demonstrates a greater empathy, Harry Osborn is the figure Parker could have become if he allowed his spirit to fall into bitterness and recrimination, even though we fully understand how Harry arrived at that state of being. Harry's eventual transformation into...well, you can figure that one out for yourselves if you have not already done so...fully represents the traumatic consequences of attempting to control what cannot be controlled. All of these issues for the men within "The Amazing Spider-Man 2" also gives the film's sole female character a greater sense of purpose. While she is still seriously underwritten, Emma Stone certainly makes yet another terrific impression upon the screen as Gwen Stacey. Her chemistry with Andrew Garfield remains as strong and as frisky as with the first installment yet this time, the character of Gwen Stacey represents a powerful counterpoint to Parker, Dillon and Osborn. Gwen Stacey is the one major character within the film who knows, understands and accepts the fact that failure is an essential part of the life cycle and how one's relationship to failure can shape a person's soul and perception of what life is and can be. Not everything can be controlled. Conflict and desolation are evident, especially if you are in love with a superhero. And this particular push-pull aspect of her relationship with Peter Parker gives "The Amazing Spider-Man 2" a decidedly stronger romantic story as it feels legitimately urgent and painful. Webb and his screenwriters have not delivered the standard "will they/won't they" plot device. With Peter Parker and Gwen Stacey, we are seeing two individuals with completely different comprehensions about life and how those differences affect their behaviors with themselves as well as each other. In all of the character elements that I have described, I feel that this is all credit to Webb's independent film roots as found within his debut feature film "(500) Days Of Summer" (2009), which despite its faults did illustrate a wise and lived-in perspective about the precarious nature of perceptions within a romantic relationship. It is a quality that I felt seriously grounded the film emotionally giving us an experience where we actually give a damn about what happens instead of being flattened by the sound and light show. And I have to say that by the film's conclusion, I would not be surprised if some of you are moved in ways that you did not expect to be. Marc Webb's "The Amazing Spider-Man 2" goes the distance in justifying its own existence in a time where we are just overrun with caped and costumed figures running around or movie theaters and multiplexes. While the film provides all of the requisite razzle dazzle, Webb has crafted a smarter, sadder, more solemn, emotionally deeper and psychologically traumatic film than I think that it is even being given credit. Yes, I am truly within the throes of comic book movie fatigue but when the comic book movies are as strong as this one, I am not ready to hang up the cape, or in this case, the web shooters just yet. I don't know about where you are but around these parts, it still doesn't quite feel like Spring as I am still wearing my Winter coat during my daily travels. So, imagine my bewilderment that the Summer Movie Season is set to begin this month! Yes, dear readers, believe it or not Director Marc Webb's "The Amazing Spider-Man 2" is set to open in the United States this very weekend after already raking in the dough overseas and despite my comic book movie fatigue, I was surprisingly impressed with this reboot and I am curious to see if Webb will be able to continue his series in a most positive light. 1. From Writer/Director Gia Coppola, the granddaughter of Francis Ford Coppola, is her feature debut "Palo Alto," an episodic high school themed film based upon James Franco's collection of short stories. 2. Writer/Director Jon Favreau returns to his independent film roots with the culinary themed "Chef," a film I have been looking forward to seeing for quite some time. And beyond that for this month, we shall see as I do like to be surprised. But for now, I leave you and I will indeed see you again when the house lights go down!